Last Friday I posted this picture and challenged my fabulous followers to come up with a caption. For those who might be curious, I’m fairly certain this was taken in Bountiful, Utah at a Carl’s, Jr. play place. Thank you to all who entered; you are all winners and get a virtual trophy for your virtual shelf somewhere. 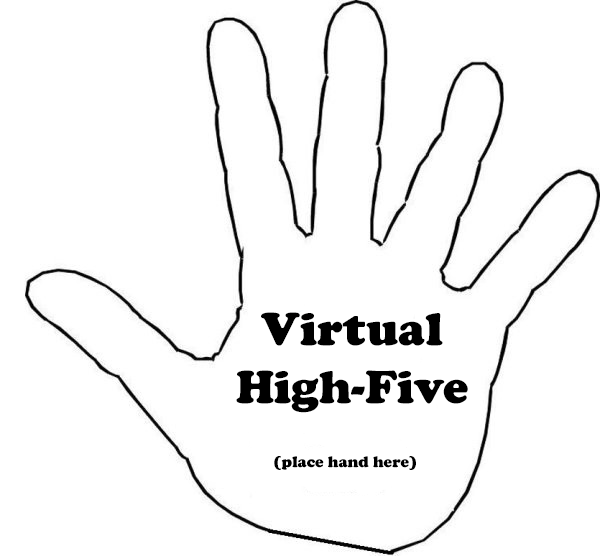 🙂 In fact, here’s a virtual high five from me for commenting and making everyone’s day brighter. With a growing number of senior citizens failing to make it through the new Daniel-in-the-Lion’s-Den attraction, the zoo felt compelled to institute a new rule. Magicquill: The sign’s wrong. They probably reversed the digits of the number in a hurry. Bladud Fleas: Dear Mr. Blippi. As you may have already guessed from the alterations, after some consideration, the producers have agreed to extend your contract for a further twenty years. We trust you are making financial arrangements beyond this time as we will then certainly be requiring a much younger man. Bladud Fleas: Miriam and Darren had always desired original and unique names for their new twins and, as far as they knew, no one in their close circle had yet named their children “48” or “Under”. Mr. Jon, if you would be so kind as to e-mail me at chelseaowenswrites@gmail.com, then I will hook you up with your prize. ‘Sup, yo? Back when I attempted to make Facebook a better place, I would occasionally post a picture of something I found and ask for captions. Today I thought, Why not do that for the blog? I can’t afford to gift people often, however, so this is going to be more of a quarterly/random thing. Yeah, I know that screws up my regular traffic but I’m not really in this for the million hits or whatever. I will post a picture. These are all from a phone or some other crappy source, so no judging my skillz. You will think of a funny caption/short story and write it in the comments. You will have one week to do so, as the cut off will be midnight of the following Friday. I prefer clean comments, like PG rated at the worst. I will decide who the winner is. Yep, I’m subjective. I will post who the winner(s) is (are) sometime on the following Friday. You will be happy that you won, or compliment the winner and visit his or her blog. Rainbows will appear and everyone will join internet hands and sing. I will send the winner information regarding receiving the prize. If s/he doesn’t respond to this request, s/he will not be sent one. I’ll keep it. I do not save anyone’s information. I’m not creepy like that; sorry. No entries accepted after 12:00:00 a.m. MDT August 3, 2018. Write something before Thursday night, folks.